Romantic Times gives Terri Blackstock's Twisted Innocencefour stars! 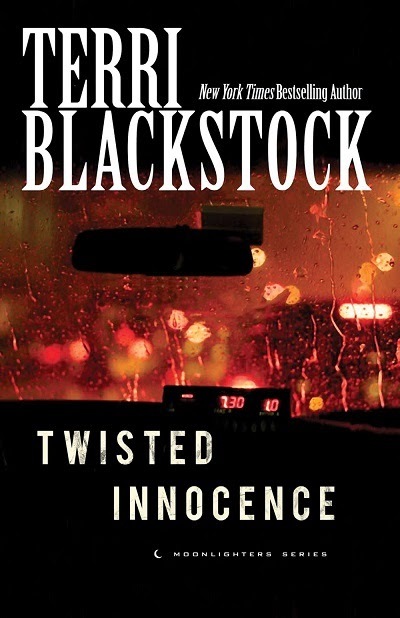 Written for anyone who's ever made bad choices, this thrilling conclusion in Blackstock's Moonlighters trilogy is packed with romance, danger, and intrigue. Holly Cramer's past choices have finally caught up to her, but she never expected them to endanger her baby. Though Holly's stumbled through most of her adult life as a party girl, she longs to live a more stable life for her daughter. Then police show up to question her about the whereabouts of Creed Kershaw, Lily's father. She has kept his identity a secret from friends and family---she never even told him about the pregnancy. Now he's a person of interest in a drug-related murder case. Determined to keep him out of their lives and turn him over to police, Holly uses her private investigating skills to search for him. But her bravado backfires when he turns the tables and takes her and the baby hostage. As desperate hours tick by, Holly realizes his connection to Leonard Miller---the man who has gunned down several members of her family. Creed claims he's innocent and that Miller is after him too. His gentleness with Lily moves her, but she can't trust a man who has held her at gunpoint . . . even if he reminds her so much of herself. Dangers old and new threaten Holly and her baby, and lives are demanded as sacrifices for love. Through a complex web of mistakes and regret, redemption is the one hope Holly has left to hold on to. 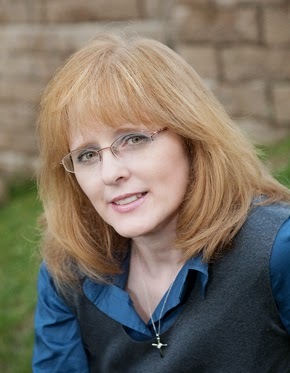 Teri Blackstock was the first author of Christian suspense/mystery I read. At that time, there wasn't much of it on the Christian market. Now there is, but I still enjoy her books. This series is among her best she has written, and this third and last book brought the series to a great conclusion. This book is about the final sibling in the family, Holly, who has a track record of making bad decisions. The book has all of the action, suspense, and drama Terri is known for, but there is also a message that no matter how bad we have been in the past, there is hope in Jesus to change and live a better life. Even though each book in this trilogy has had an ending, there was a criminal on the run in each book, and that was brought to a conclusion in this book. I really enjoyed this book and couldn't put it down until I finished it. Great plot, characters, and a fast paced story that kept me guessing. 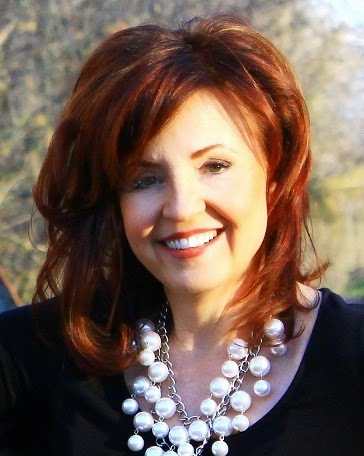 Terri Blackstock has sold over six million books worldwide and is a New York Times bestselling author. 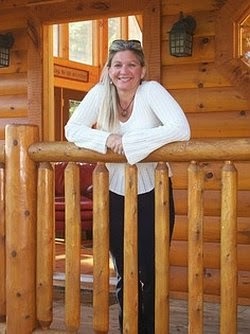 She is the award-winning author ofIntervention, Vicious Cycle, andDownfall, as well as such series as Cape Refuge, Newpointe 911, the SunCoast Chronicles, Restoration, and Moonlighters. In Terri Blackstock’s third and final book in her Moonlighters series, Twisted Innocence, readers are in for a story of suspense and redemption. Dangers old and new threaten Holly and her baby, and lives are demanded as sacrifices for love. Through a complex web of mistakes and regret, redemption is the one hope Holly has left to hold on to. Celebrate the series' final release by entering Terri's Nook giveaway! Enter today by clicking the icon below. But hurry, the giveaway ends on March 8th. Winner will be announced March 9th on the Litfuse blog. Judaism, Christianity, and Islam all feature parallel accounts of the ‘end times,’ and all three accounts feature a messianic Savior, an apocalyptic final war between good and evil, and a central role for the city of Jerusalem; do these three ‘end times’ scenarios intersect in some way? In a world that cries out for peace, which will prevail—Jesus or jihad? It is very rare that I read a non-fiction book in one setting, but I read this one in one setting. The author knows his stuff, and writes in a way to make a fascinating and informative read. I know of some of the differences between Islam and Christianity, and between Allah and God, but Yousseff lays out the differences in an easy to understand graph and also discusses them. I found myself wondering more than once why people turn to Islam over Christianity..... Jesus offers so much more. There is a chapter on the Antichrist and the parallels between him and the Muslim Mhadi, a powerful Muslim figure who will rise to power in the last day, and although the author didn't come out and say it, it sounds like the two could be the same man, which could possibly mean the Antichrist will be a Muslim. He also describes the start of Islam and what all of the mess in the Middle East is about. As the title suggests, he talks about Jihad and what it really means, and the final section is on peace and what it really means. I'll admit, I am even more fearful of Islam and what they are doing here in America now, but I learned a lot from the book and would recommend reading it. It is well written and very informative. We all need to know more about this stuff and this is a great book to read to learn more. Michael Youssef, Ph.D., is the founder and president of Leading The Way with Dr. Michael Youssef, a worldwide ministry that leads the way for people living in spiritual darkness to discover the light of Christ through the creative use of media and on-the-ground ministry teams. His weekly television programs and daily radio programs are broadcast more than 4,300 times per week in 24 languages to more than 190 countries. He is also the founding pastor of The Church of The Apostles in Atlanta, Georgia. 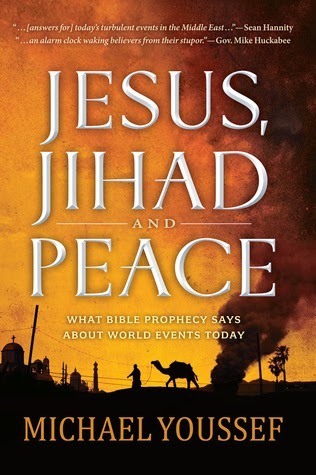 Jesus, Jihad, and Peace is available from Worthy Publishing. Thanks to Worthy Publishing for the review copy. As a child, Amanda G. Stevens disparaged Mary Poppins and Stuart Little because they could never happen. Now, she writes speculative fiction. 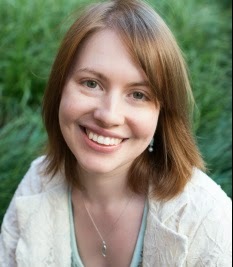 She holds a Bachelor of Science degree in English and has taught literature and composition to home-school students. She lives in Michigan and loves books, film, music, and white cheddar popcorn. Amanda's first novel, Seek and Hide, will be available September 15, 2014 from David C Cook. Six years ago, the government took control of the church. Only re-translated Bibles are legal, and a specialized agency called the Constabulary enforces this and other regulations. Marcus Brenner, a new Christian, will do anything to protect his church family from imprisonment--including risk his own freedom to gain the trust of a government agent. Aubrey Weston recanted her faith when the Constabulary threatened her baby. Now released, she just wants to provide for her son and avoid government notice. But she's targeted again, and this time, her baby is taken into custody. If only she'd never denied Him, maybe God would hear her pleas for help. When Aubrey and Marcus's lives collide, they are forced to confront the lies they believe about themselves. And God is about to grab hold of Marcus's life in a way he'd never expect, turning a loner into a leader. 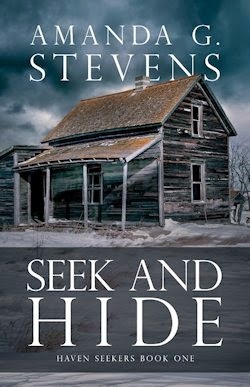 If you'd like to read the first chapter of Seek and Hide, go HERE. Although the premise of this book is sobering and scary - an America where Christianity is illegal, the Bible is banned, and only state approved churches are allowed - this was a great read that I found hard to put down. It is a fact that this premise could happen here some day, and most likely will, and the author did a great job of portraying what life might be like for Christians in that day. It wasn't a mystery/suspense novel, but it was still a very suspenseful read. I liked the main character, Marcus a lot. He wasn't perfect, a new Christian battling alcoholism, but very willing to risk his life to help other Christians, or "family" as he thought of them. Jillian is picture-perfect on the outside, but terrified of getting hurt on the inside. Brittany is a tough girl who trusts almost no one. Ian is a successful athlete who dabbles in the occult. And Rob is a former gang-banger who struggles with guilt, pain, and a newfound faith in God. These four college students will face the ultimate battle between good and evil in a single year. As spiritual warfare rages around them, a dramatic demonic correspondence takes place. Readers can eavesdrop on the enemy, and learn to stave off their own defeat, by reading The Ishbane Conspiracy. This book came out in 2001, and if I am correct, was marketed for teenagers. 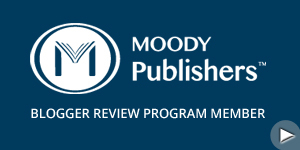 It was offered for review, and I can't remember if I read it or not, so I requested it. If I did read it, I don't remember any of it. This is very similar to C.S. Lewis' book, The Screwtape Letters. It is an "inside look" at demons work on an individual, or in this instance, four different individuals, all of them college students. I listened to The Screwtape Letters and read Randy's similar adult book, but like this one the best. Since there are more people involved, it makes the book more interesting and moves it along at a faster pace. I thought the authors did a great job on the characters and plot. It not only kept my attention, but made me realize how hard the devil does tempt us. Even though the story is fictional, and the demons and their activities a figment of the authors' imaginations, it still was a stark reminder of what we face and how much the devil wants is to fall to his snares. This is more modern than The Screwtape Letters, and although it was geared for teenagers, adults will enjoy this fresher look at what C.S. Lewis did in his novel. Randy Alcorn is the founder of Eternal Perspective Ministries (EPM), a nonprofit organization dedicated to teaching biblical truth and drawing attention to the needy and how to help them. EPM exists to meet the needs of the unreached, unfed, unborn, uneducated, unreconciled and unsupported people around the world. "My ministry focus is communicating the strategic importance of using our earthly time, money, possessions and opportunities to invest in need-meeting ministries that count for eternity," Alcorn says. "I do that by trying to analyze, teach and apply the implications of Christian truth." Before starting EPM in 1990, Alcorn co-pastored for thirteen years Good Shepherd Community Church outside Gresham, Oregon. He has ministered in many countries, including China, and is a popular teacher and conference speaker. Randy has taught on the part-time faculties of Western Seminary and Multnomah University, both in Portland, Oregon. Randy is a best-selling author of over 40 books including Heaven, The Treasure Principle and the 2002 Gold Medallion winner, Safely Home. He has written numerous articles for magazines such as Discipleship Journal, Moody, Leadership, New Man, and The Christian Reader. He produces the quarterly issues-oriented magazine Eternal Perspectives, and has been a guest on more than 650 radio and television programs including Focus on the Family, Family Life Today, The Bible Answer Man, Revive Our Hearts, Truths that Transform and Faith Under Fire. Alcorn resides in Gresham, Oregon with his wife, Nanci, and their Dalmatian, Moses. The Alcorns have two married daughters, Karina and Angela. Randy and Nanci are the proud grandparents of four grandsons. Randy enjoys hanging out with his family, biking, tennis, research and reading. 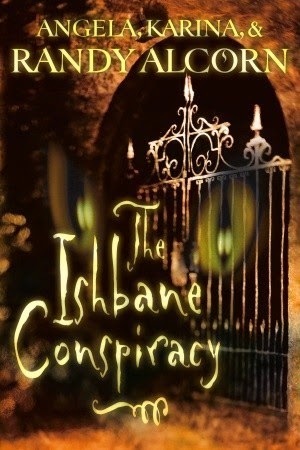 The Ishbane Conspiracy is available from Waterbrook/Multnomah Publishing. Investigating a burglary at an English country house, Detective Chief Inspector Robbie Peele comes face to face with one of the most mysterious objects in world archaeology, the Phaestos Disk--and with the Middle Eastern terrorist cell determined to steal it. The vital clue is a long abandoned Muslim village in Crete, where a Victorian gentleman explorer witnessed horrors that were meant to be secret and recorded what he saw in coded diaries. Seeking the truth about the Phaestos Disk, Peele and his assistant, Sarah Shipton, are on the cusp of solving the mystery when they are caught in an ancient Egyptian burial chamber during an earthquake. In the end Peele has to ask far harder questions than simply who committed the original burglary. The origins of the Phaestos Disk are inextricably bound up with the Middle East peace process in ways that frustrate and astound him. 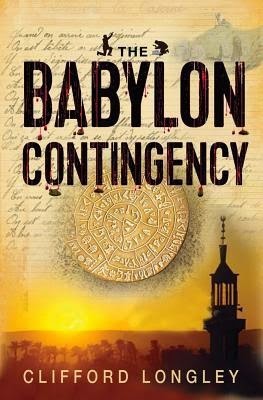 Certain to draw readers into a world of ancient secrets and international intrigue, The Babylon Contingency is the first in a riveting new series from experienced journalist and broadcaster Clifford Longley. This was a new author to me, but it sounded like a book that was in my preferred reading genre'. Outside of some mild language, the book is clean, though not much on the Christian content side. It is an interesting and suspenseful read, though a bit slower than some suspense novels I have read. I am not much for first person point of view books, though some are better than others. I think I would have enjoyed this one more had it been in the third person point of view. I did like the main character and the other characters. Any book that has historical parts to it interests me, so I enjoyed that part of the book. I liked the book overall, and felt the author brought the story to a satisfying conclusion. The Babylon Contingency is available from Lion Publishing, part of the Kregel Publishing Group. Wife to a gambler who took one too many risks, Rahab finds herself sold as a slave to cover her husband's debt. Forced into prostitution, she despairs of ever regaining her freedom and her self-respect. But when Israelite spies enter Jericho and come to lodge at her house, Rahab sees a glimmer of hope and the opportunity of a lifetime. In one risky moment, she takes a leap of faith, puts her trust in a God she does not know, and vows to protect the spies from the authorities. When the armies of Israel arrive weeks later, Rahab hopes they will keep their promise, but she has no idea what kind of challenges await her outside Jericho's walls--or if she will ever know the meaning of love. Under Jill Eileen Smith's talented hand, the familiar story of Rahab bursts forth in high definition. Immerse yourself in a world of dark and dusty streets, clandestine meetings, and daring escapes as a mysterious biblical figure claims her full humanity--and a permanent place in your heart. I didn't used to like Biblical fiction, and I went years without reading any. Most of what I read years ago didn't impress me and so I avoided that genre'. Then some new authors started writing it, and I started reading some of it again, and found to my amazement that there is some great Biblical fiction out there. This book really interested me. We don't know a lot about Rahab. She was a prostitute, hid the spies that Joshua sent into Jericho and was rewarded by having her and everyone in her house spared. She evidently embraced the God of the Israelites, for she married one and is one of four women mentioned by name in the lineage of Jesus. She is a character that needs a story, and this book gives her one. Now as with all Biblical and historical fiction, the author takes some license and weaves fiction around the real story. I liked the results of Jill's efforts to bring this story to life, while staying true to the Biblical account. The author gives a scenario from her mind of how Rahab may have gotten into the life she was living, and it worked for the story. There is some romance in the book, and the reader gets a look at what it may have been like for a non-Jew to come into the Jewish faith and leave behind their life and gods to worship the one true God. I found myself moved by the story, as I read anew how God defeated Jericho and other cities, how Achan's sin causes so many deaths and what his end was. The book was entertaining, yet had the great message that God can redeem anyone and use them. He even used a harlot in the lineage that would bring Jesus into this world. This is book one in the Daughters of The Promised Land Series, and if this book is any indication, this will be a great series. Jill Eileen Smith is the bestselling author of the Wives of King David series, the Wives of the Patriarchs series, and the ebook novella The Desert Princess, book 1 in the Loves of King Solomon series. Her research has taken her from the Bible to Israel, and she particularly enjoys learning how women lived in Old Testament times. When she isn't writing, she enjoys spending time with her family and friends. She can often be found reading, testing new recipes, grabbing lunch with friends, or snuggling Tiger, her little writing buddy who chews her fingers as she works. She lives with her family in southeast Michigan. She loves hearing from her readers. Learn more at www.jilleileensmith.com. 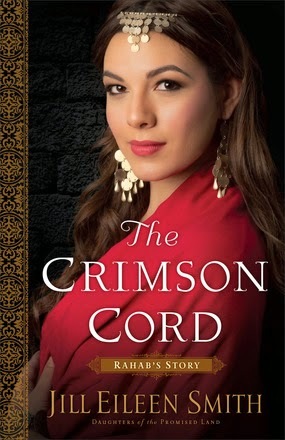 The Crimson Cord is available from Revell Publishing, part of the Baker Publishing Group. Finally, a hardcover Bible that has plenty of room for taking notes during public or private worship, small group fellowships, or any other time or place readers feel the need to make comments in their Bible. No more cramped writing in tiny margins—the NASB Note-Taker’s Bible makes it easy to stay organized and neat. Readers will be able to personalize the text of God’s Word to their lives like never before and will treasure it as a record of their spiritual journey. Includes the complete text of the popular New American Standard translation. I have never owned or used a NASB Bible, so the translation was new to me. Although I still prefer a couple of other versions, I do like what I have read and seen of this one as I read it for reviewing. Note taking or writing in Bibles has never been something I have done, but that is the idea behind this Bible. It has large margins on each page and extra space at the bottom of each page, ideal for writing notes. The Bible itself is plain. There are no study notes, pictures, or any bells and whistles. It is done simply with only more space to take notes as its selling point and perk, but for those who do take notes, it is a great tool. I did find the print a bit small for reading, and wish they had used a larger font, but some may not have an issue with that. It is available in several other versions besides the NASB. 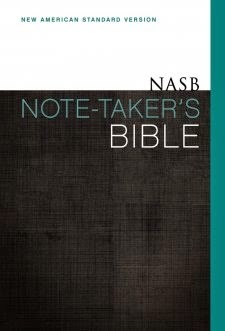 The NASB Note-taker's Bible is available from Zondervan Publishing. I live in the beautiful foothills of the Great Smoky Mountains of East Tennessee with my husband, Tim, and our teen-aged daughter, Danni. Also with us are Lucky and Gus - the two cherished cats we rescued from local animal shelters. I'm a member of the Romance Writers of America and Smoky Mountain Romance Writers. During the school year, I teach middle-schoolers reading and Algebra. When I have free time, I love to garden, take long walks with my husband, and read romance novels in a hammock beneath century-old shade trees. I write romance novels for White Rose Publishing. If you'd like to visit, I have an author page there, as well. That's where you'll find everything there is to know about my books. I also have author pages at the following locations. Do come by and spend some time with me there! Carin O'Malley is dealing with the death of her brother and a new job as an English teacher at East Ridge Middle School where Corey Samuels reigns as King of Chaos. The last thing she needs is to fall in love...especially with a handsome and complicated preacher like Corey’s brother Jake. 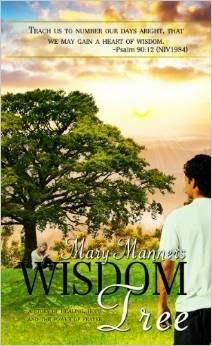 But when Corey's antics toss Carin and Jake together, the two must draw from God’s wisdom to find refuge in His perfect plan. ------------------------------------------------ Discover your own wisdom tree with the included one-month devotional. If you would like to read the first chapter of Wisdom Tree, go HERE. Although this is a romance, it sounded worth reading to me. It was an awesome book and I enjoyed it a lot, though I was disappointed it wasn't longer. I liked the characters a lot in the book. I am a sucker for a story with kids in, especially troubled kids. The book had a great plot, and I liked the idea of having a wisdom tree. It made me want to have my own. 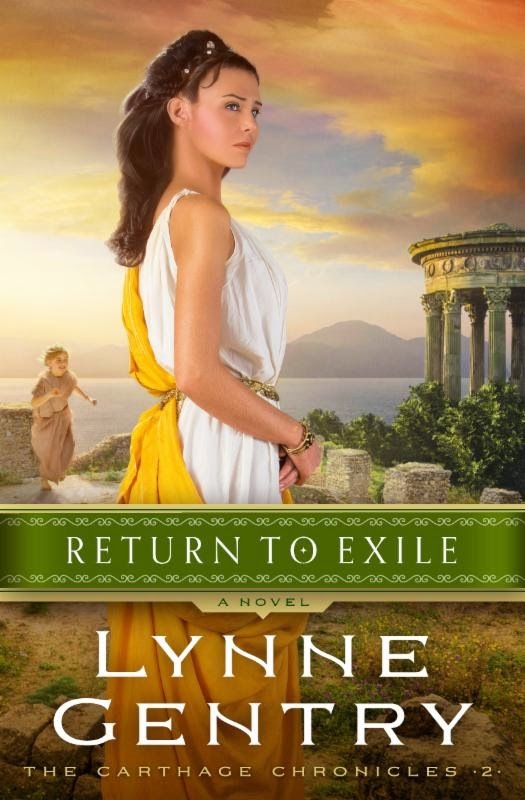 Filled with gripping action and raw emotion, Return to Exile is a spellbinding adventure of star-crossed lovers captivates with every turn of the page in this electric continuation of Lynne Gentry's Carthage Chronicles. "When people are afraid, they are far easier to control." Six years ago, impossible circumstances forced Dr. Lisbeth Hastings to leave behind the love of her life, not just in another country, but in another time. Her work as a top-notch epidemiologist and parenting her little girl helps alleviate the pain, but at night when her exhausted head hits the pillow, images of her beloved Cyprian haunt her sleep. Cyprian Thascius returns from political exile a broken man. He's lost his faith, the love of his life, and his purpose. He attempts to move on, to face the danger that is looming over Carthage, but when Cyprian's true love suddenly reappears, his heart becomes as imperiled as the fledgling church he seeks to save. Have the years that kept Lisbeth and Cyprian apart created too wide a chasm to bridge? In the midst of a new epidemic and rising oppression, will their love be the most costly fatality? Time travel books are a rarity on the Christian market, so this book intrigued me when I got the chance to review it. 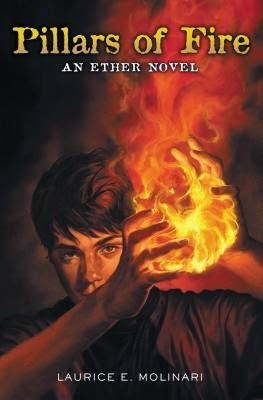 I requested it, did enough research to realize I should read the first book in the series before I read this second book, so I ordered book one, read it, and loved it. I then went onto this book. In the books, the main character, Dr. Lisbeth Hastings, goes back in time to the 3rd century, A.D. The author does a fantastic job of describing the scenes and setting for what it might have been like at that time. Well done descriptions of places in books go a long way in setting the tone for a great book, and it was well done. Most of the same characters were back from the same book, good and bad, and I really like the characters in the book. Some of these people face impossible choices, all faced with the reality they could end up in the arena for daring to serve Christ. Although the book is fictional, it brought to mind how easy we have it here in America, and that many Christians through the ages and today face true persecution and death for serving God. The books aren't the genre' I usually read, but I enjoyed both books and am looking forward to the third book, and eagerly wait to see how the author wraps things up. They are as page-turning books as the suspense I love to read. Highly recommended series. 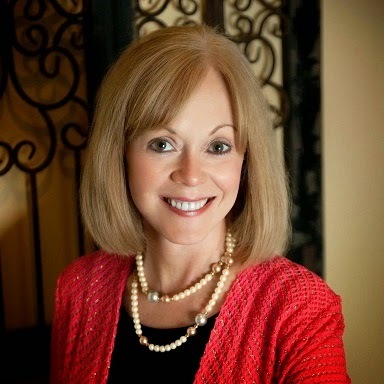 Lynne Gentry has written for numerous publications. 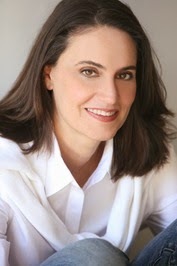 She is a professional acting coach, theater director, and playwright. Lynne is an inspirational speaker and dramatic performer. She loves spending time with her family and working with her medical therapy dog. In the not-too-distant future, the United Regions of America has formed. Governors hold territories instead of states, and while Washington, DC, is gone, the government has more control than ever before. For fifteen-year-old Vivica Wilkins, the daughter of a governor, this is life as usual. High school seems pretty much the same--until one day, that controlling power steps right through the door during study hall. When Vivica speaks out to defend her pregnant friend against the harsh treatment of Population Management Officer Marina Ward, she has no idea she's sowing the seeds of a revolution in her own life. But it isn't long before she discovers her own illegal pregnancy. Now she has to decide whether to get the mandatory abortion--or follow her heart, try to keep the baby, and possibly ruin her mother's chances at becoming president. A rebel group called the Emancipation Warriors, who are fighting to restore freedoms once held unalienable, offer her asylum. Can Vivica trust these rebels to help her or will they bring everything crashing down around her? Accepting their help may come with consequences she isn't ready to face. Marissa Shrock's debut novel crafts a chilling story of what may be to come if we allow the economic and moral crises currently facing our country to change the foundations on which we built our independence--and of the difference one person can make when they choose to trust God's lead. This is another juvenile book that I thought sounded worth reading. It is rather suspenseful, though it isn't marketed as a suspense novel, but as a futuristic novel. It is set in the future in a government controlled society where Christianity is almost illegal, and owning a Bible not approved of and changed by the government is illegal. I enjoyed the book. The author had a great plot and wrote a great story around it. I liked the characters, and even though it is a juvenile fiction book, I really got into the story and didn't want to put it down. The story is entertaining, yet also poses a great warning of where our country could end up if we keep pushing God aside, getting more government control, and keep aborting babies. There are good moral lessons in the book, as Vivica and others risk their lives to do the right thing and obey God rather than man. I would definitely recommend this book to teenagers, and will be passing it on to my nieces and nephews. Marissa Shrock is a writer and language arts teacher who enjoys working with her fun seventh grade students. She is a graduate of Taylor University and has completed the Jerry B. Jenkins Christian Writers Guild Apprentice, Journeyman, and Craftsman courses. She is a member of ACFW. 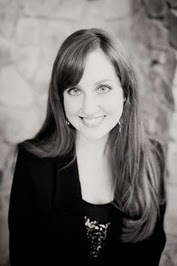 Marissa has written articles for teens and adults in Evangel and Encounter. 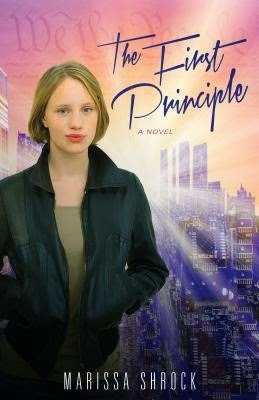 The First Principle is her debut novel. In her spare time Marissa loves spending time with family and friends, shopping for cute clothes, traveling, baking, and playing golf. The First Principle is available from Kregel Publishing. Thanks to Kregel for the review copy. After Vero Leland discovered his true identity in book one, he must continue to maintain his life on earth as a regular 12-year-old kid, which is hard to do when you are really a fledgling, a guardian angel in training to become one of the fiercest of all angels. At any moment, he could be called to the Ether, the spiritual realm surrounding the earth, where he must face whatever trials come his way in angel school, aka C.A.N.D.L.E. (the Cathedral of Angels for Novice Development, Learning and Edification). In book two, part of Vero s training involves the Angel Trials, a set of three challenges where he and his group of fellow fledglings compete with angels from other realms. But while he is competing in the Ether, back on earth his sister is in trouble. She has a new friend who is leading her down the wrong path. During the third trial, Vero realizes he must choose between saving his sister or winning his competition. But the attack on Clover is only a means to get to Vero, and he finds himself face-to-face with an evil even greater than what he experienced in the Bottomless Pit. Once again, he is tested beyond what any previous fledgling has endured, and how the battle ends will affect not only his grade in C.A.N.D.L.E., but also the fate of the world." This book is the second in the series and picks up where the first one left off. There is more going on in ths book, and it is more on the suspenseful side. The main character, Vero, has advanced in his abilities and is coming to realize what he will leave behind when he becomes a full fledged angel. It is an interesting and fascinating read. It is fictional, but it gives an imagined look at what might be going on behind the scenes in the spiritual realm. I don't feel this series does a discredit at all to God or angels, but is a fun and interesting read. The book has good morals and lessons, and very likable characters. A definite recommendation for juvenile readers and adults who enjoy juvenile fiction. Laurice Elehwany Molinari, a veteran film and TV writer in Hollywood for over two decades, has penned over thirty scripts for various studios and networks. Her very first feature script, written while a fellow at the American Film Institute, became Columbia Picture’s critically acclaimed children’s classic, My Girl. She went on to pen The Brady Bunch Movie and The Amazing Panda Adventure. Laurice lives with her husband and two children in Los Angeles, the City of Angels, where her lifelong love for our heavenly guardians inspired her to write a book about them in the ETHER series. Pillars of Fire is available from Zondervan Publishing. My career began at Kensington Publishing, then Wild Rose Press released what will likely be my last secular novel, With This Kiss. This book is very dear to my heart, because, in a way, it memorializes the life of my grandmother, Rachel Alfano. She was a feisty, loving Italian. Back in the day, folks came to her deli in East Rutherford "from the City" (New York, of course!) to get her pepperoni, or purchase her hand-made sausage and pastas. Life and times at 82 Mozart Street are engraved upon my heart, and precious to me. What better place to set a romance? Now, I'm called to write 'Faith-affirming fiction' (TM). Christian inspirational romance, and Christian themed fiction, is something that both as a reader, and writer, I feel called upon by God to enjoy and create. This segment of my journey began when I was lucky enough to win a writing contest sponsored by White Rose Publishing that led to the publication of my Christian inspy debut, Hearts Crossing. This humble, heart-felt novella went on to become a series...and an Amazon best seller! A Face in the Clouds, a short story spin-off of Woodland, is also part of my 'best seller' portfolio. What a blessing! Christian Music agent Kellen Rossiter has everything he ever wanted: A-list clients from coast to coast, a loving wife who honors and respects him, and a faith life that’s never wavered—until now. Juliet Rossiter has the perfect life: a rewarding schedule serving the underprivileged, a husband who loves her as Christ loved the church, and a blessed future as a mother—at least that's what she thinks. 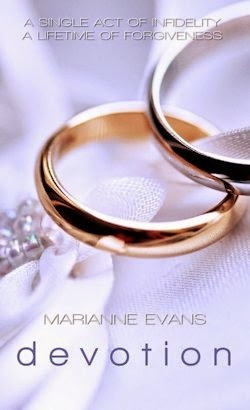 But what happens when their rock-solid marriage begins to crumble under the weight of an unexpected and powerful temptation? How does love survive when its foundation is shaken? When human frailty and the allure of sin deal a harsh blow to their relationship, it will take more than love to mend the shattered trust and heartbreak. It will take a lifetime of devotion. If you would like to read the first chapter of Devotion, go HERE. I rarely read a book that is just romance, but occasionally a book that is romance sounds worth reading, and such was the case with this one. The author was new to me, and I had never heard of the publishing company, but decided to give it a try and review it. And I found it to be well worth the time I spent reading the book. I liked the characters, and felt the author in no way excused the actions of the husband, Kellen. I have read books before where there was infidelity in the marriage, and senses a bit of that, but not the case with this book. There are no excuses, and it is clearly shown where Kellen went wrong before he even met temptation face on. The book really spoke to me. It is more than a great story - and it is that for sure - but it is a warning that we can all fall, not necessarily in that area, but generally speaking if we neglect our spiritual life - church, prayer, Bible reading. To me, the book is a picture of our relationship with God. I thoroughly enjoyed the book, and was challenged and convicted to be more devoted to God. I highly recommend the book. Then Nick met Kanae and everything changed. But even with undeniable chemistry, they would have to navigate twists and turns worthy of a romantic comedy before becoming "one" in marriage. Above all, Love Without Limits is an inspiring reminder that when Christ is at the center of a relationship--even with serious challenges--true love will triumph. 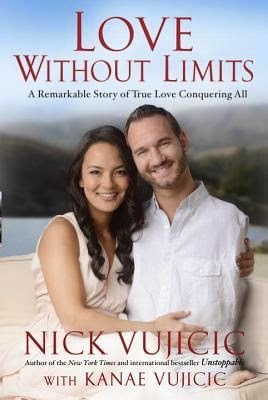 As a boy growing up in Australia, Nick Vujicic could not understand why God had allowed him to be born without limbs and if He would ever bring a woman into Nick’s life. On the other side of the world, Kanae Miyahara—a girl growing up in Mexico--saw dysfunction sadly separate her family. She wondered if a loving, lasting marriage was even possible. Later, when Nick realized that God had a purpose for him, his life took on new meaning. But after a long-term relationship ended in heartache, would he ever find someone to marry? Kanae experienced relationships based on superficial attraction, but she longed to find a mate with strong character and faith—a man who would be a godly husband and father. When Nick and Kanae met in the most amazing way, they realized that God—the ultimate Matchmaker-- had used even their discouraging and painful experiences to prepare them for each other…for the love of their life. 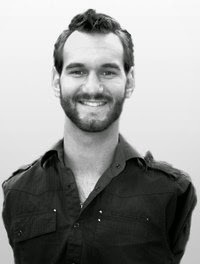 I think Nick Vujicic is one of the most inspiring people out there. To deal with the handicaps he has, and yet be so positive and go all over speaking to people about God is nothing short of miraculous. I thought it was awesome when he married and started a family, and jumped at the chance to review this book. The book is interesting and inspiring. Nick tells of his dating experiences prior to meeting his wife, and then goes into how they met, how he proposed, the wedding, and after the wedding. Each chapter is set up in a format of not just telling his story, but of giving advice. He discusses waiting for the right one, how to know if it is the right one, and how he manages married life. The most enjoyable part of the book was reading about when he found out he was going to be a father, and the challenges he faces being a father and not having any limbs. Even though I am single with no intentions of ever marrying, I enjoyed the book and found the story very encouraging and inspiring. God can send the right person for anyone. Nick is proof of that. Nicholas James Vujicic (Serbian: Николас Џејмс Вујичић, Nikolas Džejms Vujičić) is a Serbian Australian evangelist and motivational speaker born with tetra-amelia syndrome, a rare disorder characterised by the absence of all four limbs. As a child, he struggled mentally and emotionally as well as physically, but eventually came to terms with his disability and, at the age of seventeen, started his own non-profit organisation, Life Without Limbs. Vujicic presents motivational speeches worldwide, on life with a disability, hope and finding meaning in life. He also speaks about his belief that God can use any willing heart to do his work and that God is big enough to overcome any and all disabilities. Love Without Limits is available from Multnomah/Waterbrook publishing. Thanks to Multomah/Waterbrook for the review copy.